Note: All of these are private, non-commercial projects that I do for fun. StartPri - starts a Windows application with a designated priority. 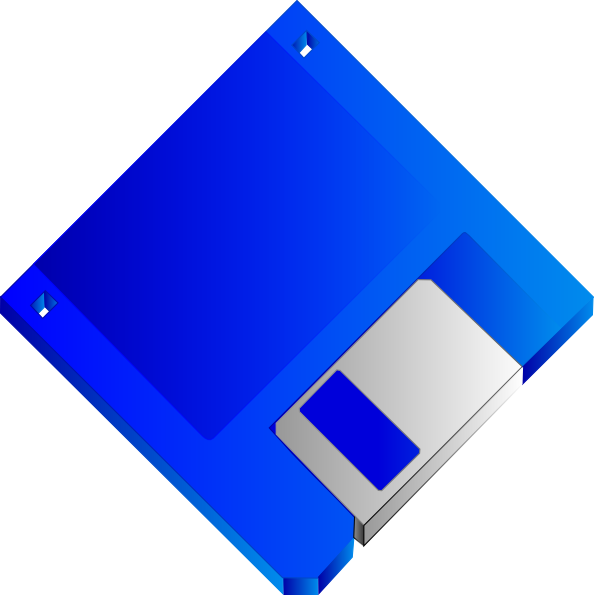 CRC32 - computes the CRC32 code of a given file (C++ source included). Prime - A fast prime number generator (C# source included). Dissecter - A user-friendly file-splitter / joiner. Pertunalis is the name of a DirectX-based game engine that targets the easy creation of old-school 2D action games. It encapsulates sprites, animation, sound and input in a clear and strictly object-orineted hierarchy of C++ classes. Integrated support for sprites, animations, compound objects, text scrollers. Support for Mouse / Keyboard / Joystick. Support for SID-Playback through integration of the Nanosid library. Rudimentary physics based on force fields. The engine's funtionality was recently encapsualted in a static library. It may be made available to the public after some refactoring was made. 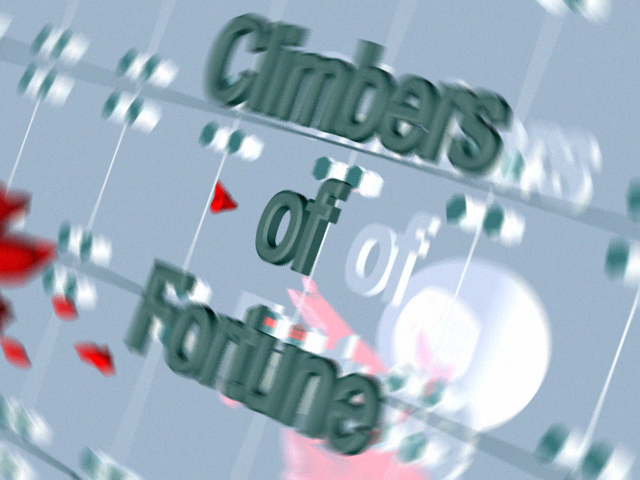 Climbers of Fortune (COF) is the first - and yet the only published game developed on the Pertunalis Engine. More precisesely, COF was the project upon which Pertunalis was developed. The game has hence undergone a long development cycle and is now available in it's final version 1.9. COF was chosen as a game project that was simple enough to be developed by a single person while providing enough content to develop a decent game engine and enough fun to keep the developer motivated. 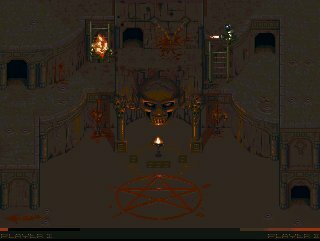 COF was inspired by the game "Ork Attack" on the Commodore Amiga. COF is satirical side-blow on modern reality TV. As health insurance has been totally abolished in the neas future, the only way for poor people to get medical attention is to participate in a deadly game show called "Climbers of Fortune". 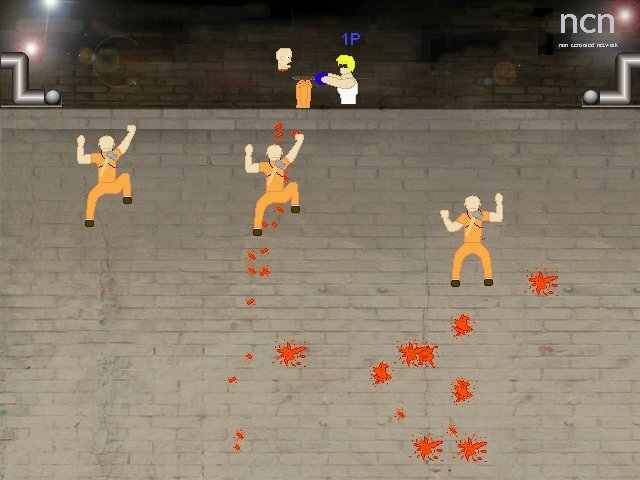 The player takes the role of government official who has to prevent the "Climber" from reaching the top of a wall. This is acomlished by throwing metal balls and - as a second line of defense - your trusty old chainsaw. 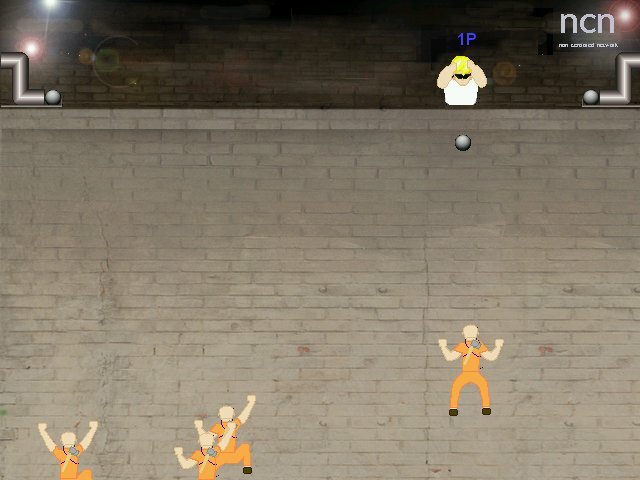 Up to 3 Players simultaneously. Separate higscores maintained for 1, 2, and 3 player games. Support for full screen and windowed modes. 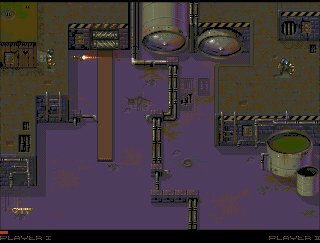 Rags is a game for Commodore Amiga computers equipped with AGA chipset. The production of this game started in the year 1995. At some point the developer teams was separated by their formal education. Through a sudden boost of motivation, the game was finally finished and released in the year 2001. The game was insprired by the 8-Bit classic "Beach-Head 2". 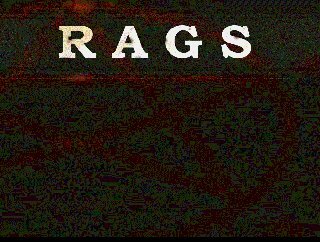 Rags is a 1-on-1 battle game set in the post-apocalyptic future. Two modern gladiators face each other in a arena. 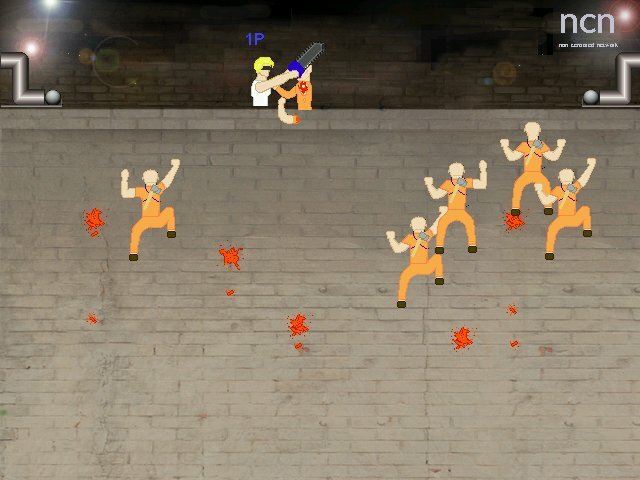 The goal is to remove each other from this world by using knifes, mini-guns, rocket launchers or by luring the other player in a trap. The game can be played against the computer or against a friend. Boris Bauer - Programming, music. Tilman Mehler - Programming, music, motivation. Fully programmed in MC68000 assembler. Rudimentary AI using breath-first search and goal analysis. Online mixing of all sound effects into a single ring-buffer. A simple virtual machine for processing action scripts. Note: The game must be played either on a real Amiga 1200/4000 or an Amiga emulator (e.g. UAE). In both cases a (virtual) hard disk with an installed operating system (e.g. Workbench) is required.